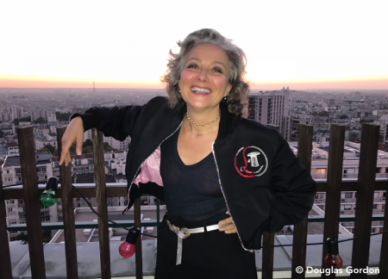 It is not unheard of for museums, through their programming schedules, to inadvertently reprise entire chapters of art history. As I write, on one side of the Channel, in Paris, at Pompidou Center, is the fabulous Cy Twombly retrospective, showing until 24 April. 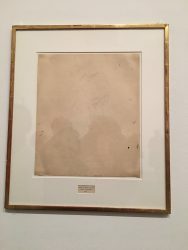 ( see: https://judithbenhamouhuet.com/report/cytwombly-at-the-pompidou-an-outstanding-retrospective-which-will-not-travel-after-paris). 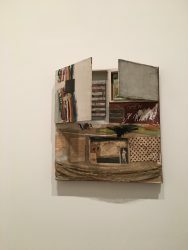 But if you want a more complete view of this exceptional period of creativity of 20th century, you have to hop over the water to the Tate Modern in London between now and April (or across the Atlantic to Moma, New York from 21 May) to catch the Robert Rauschenberg retrospective. 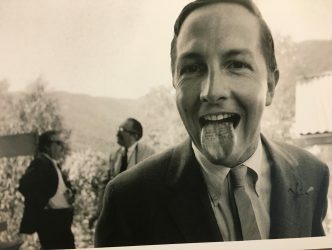 Cy Twombly (1928-2011) and Robert Rauschenberg (1925-2008) are both Americans; they both made their debuts at Black Mountain College, that fabled hive of creative activity in the 1950s; they travelled together; they were lovers, then each took their own path, inventing radical, remarkable and unique aesthetics. We have previously had a look at Cy Twombly . 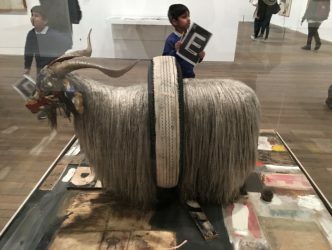 The Tate retrospective, consisting of 120 paintings and sculptures, looks to emphasise Rauschenberg’s urge to collaborate with artists from other disciplines. This, however, is not the most convincing part of the exhibition. But we discover lesser-known and fascinating sides to this fundamental figure from the second half of the 20th century. 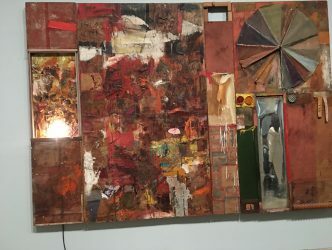 In Paris, New York and Los Angeles in 2006 and 2007 there was a truly exceptional exhibition covering the period from 1954-1964 when Rauschenberg was making what are known as Combine paintings. 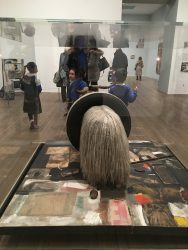 Eleven of them are at the Tate Modern. Here we find him at the peak of his powers. He constructs painting-sculptures, in other words paintings fused with paint-daubed objects from real life, and which narrate his innermost self. 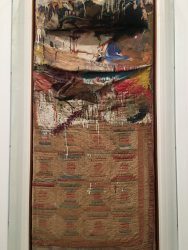 It consists of a single bed covered by a patchwork blanket, with a cushion at its head, covered here and there with paint. All his Combine paintings tell stories that can be seen as riddles. 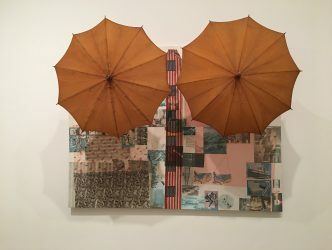 Through his use of transformed everyday objects (readymades), Robert Rauschenberg is a successor to Marcel Duchamp, whom he met in New York. 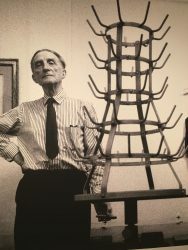 Until 17 January in Paris, Thaddaeus Ropac Gallery was showing a Marcel Duchamp bottle rack that had previously belonged to Robert Rauschenberg. 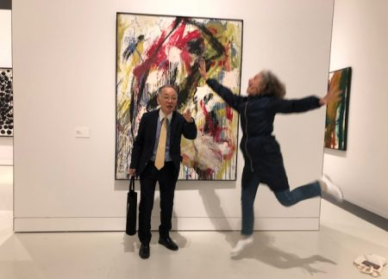 It seems that the work is about to be sold to an American museum. 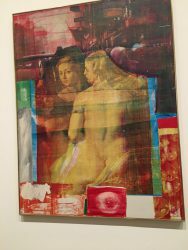 But Rauschenberg does not limit himself to the Duchampian « tradition ». Driven by the need to constantly experiment, he juggles sculpture and painting. 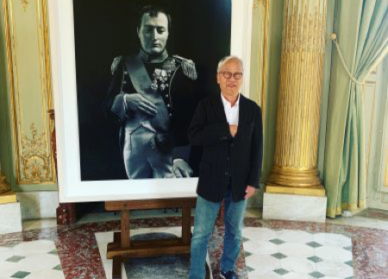 On countless occasions between the 1960s and 2000s, in in a Pop Art spirit, he adopts the practice of juxtaposing of found images: from the portrait of President Kennedy to a naked woman by Rubens, from a fire engine to a hand holding a ball. Meanwhile, both beforehand and afterwards, he sticks gold leaves to a canvas in a similar way to Yves Klein a few years later, he erases a Willem de Kooning drawing proclaiming that this gesture would produce a new work, he collaborates with choreographers Merce Cunningham and Trisha Brown, he creates a giant vat of clay that bubbles endlessly evoking the surface of the moon, and cuts up and assembles large aluminium piping to create a sculpture. 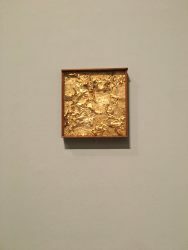 We would have liked to have seen more at the Tate. 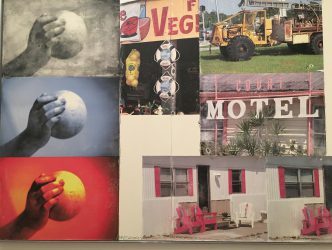 The Rauschenberg Foundation curator, David White, mentions space constraints. It’s a reflection that might strike a note of optimism in these difficult times. Presidents may come and go, but great artists remain.